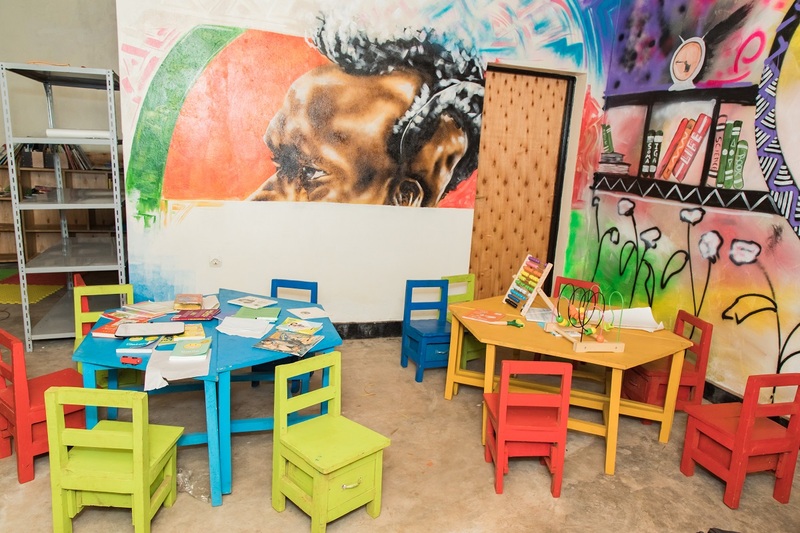 When we arrived in Nyabiheke, we were glad to hear there was a library – that’s not something you usually see inside a refugee camp. 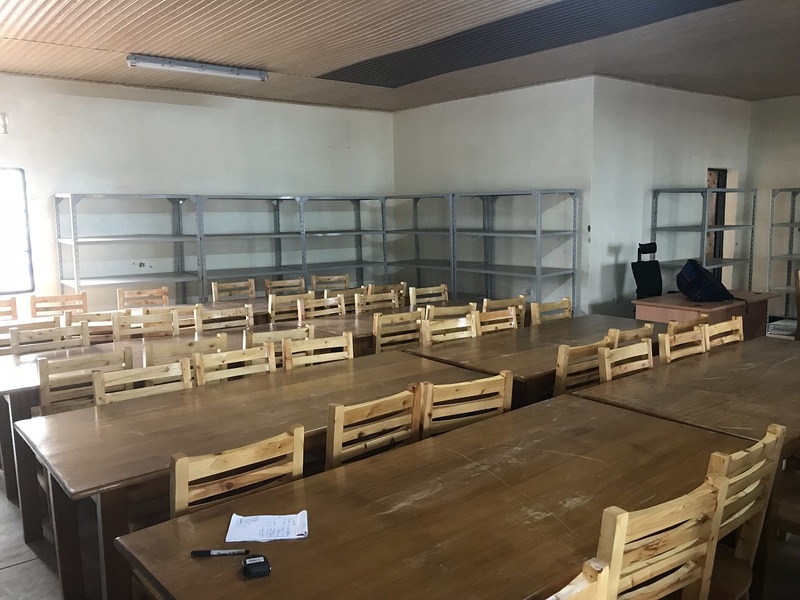 But we quickly found out there was a library building – a space built and reserved by UNHCR for a library to someday take shape. First thing’s first, we needed to make the library a place people wanted to be, somewhere their imaginations could be unleashed. We needed color. 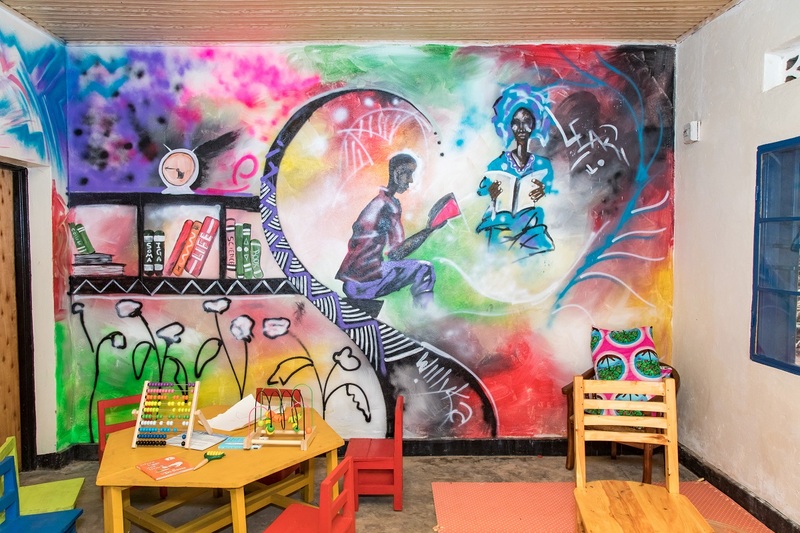 We picked up brushes and rollers and got to painting the walls inside the library – a horizon, people reading, images that reflected the community. The group even went outside, decorating the building façade with whimsy, welcoming passersby to come take a look inside.